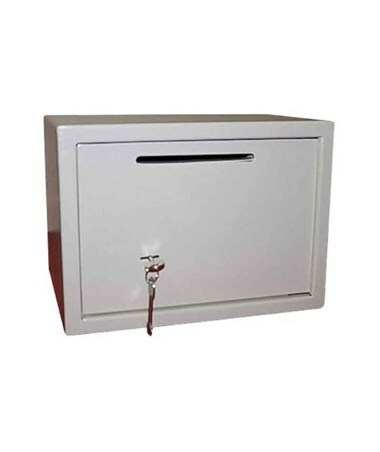 The Hollon Drop Slot Safe is a compact under-counter safe that is perfect for small businesses. It features an enveloped-size slot for depositing cash, deposit slips, receipts, and keys to keep them safe. 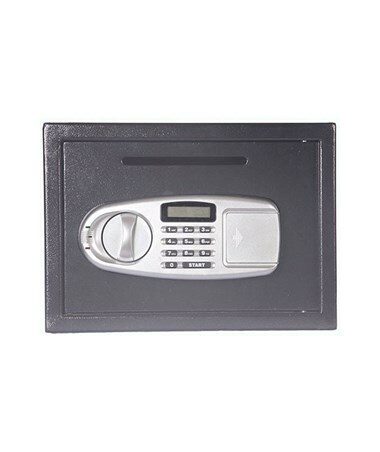 The contents are protected by a door that is secured by either a key or a digital lock. At the back and the bottom of the safe are bolt holes to easily and securely mount it on walls or any surface. 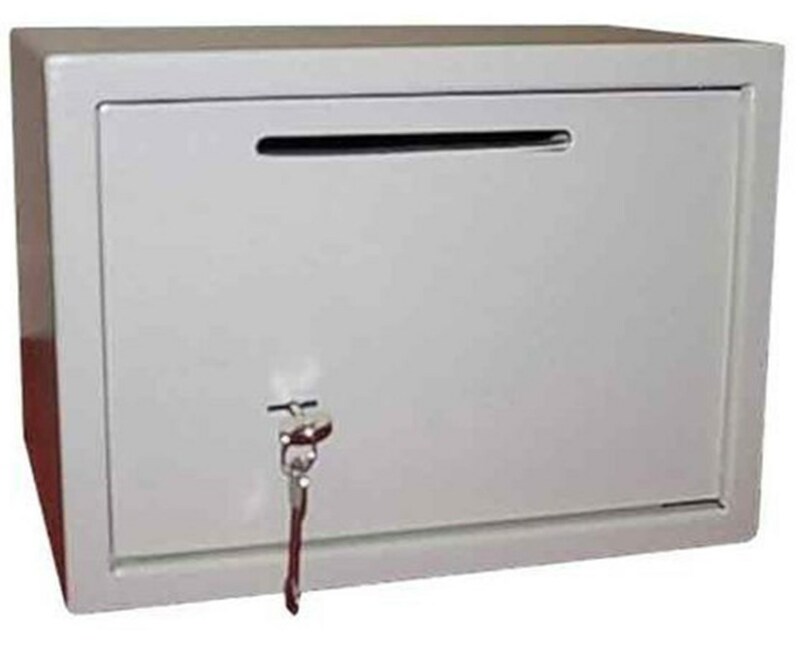 This depository safe is 9-7/8-inch high, 13-3/4-inch wide and 9-3/4-inch deep and has a 0.23 cubic feet of interior space. It is made of sturdy 11-gauge steel with a gray finish. Included in the package is a mounting hardware. Please Note: Only available in Gray color. 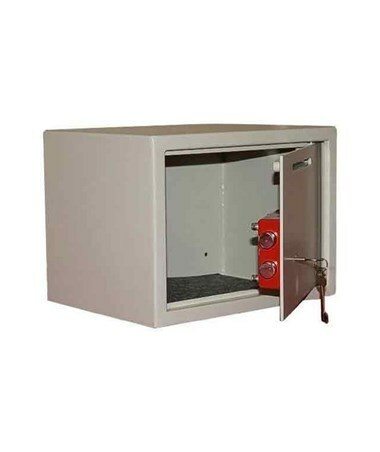 The Hollon Drop Slot Safe is available in two lock types. Please select your preference from the choices above.